Asakusa (浅草) is Tokyo's oldest entertainment district from the Japanese Edo period. 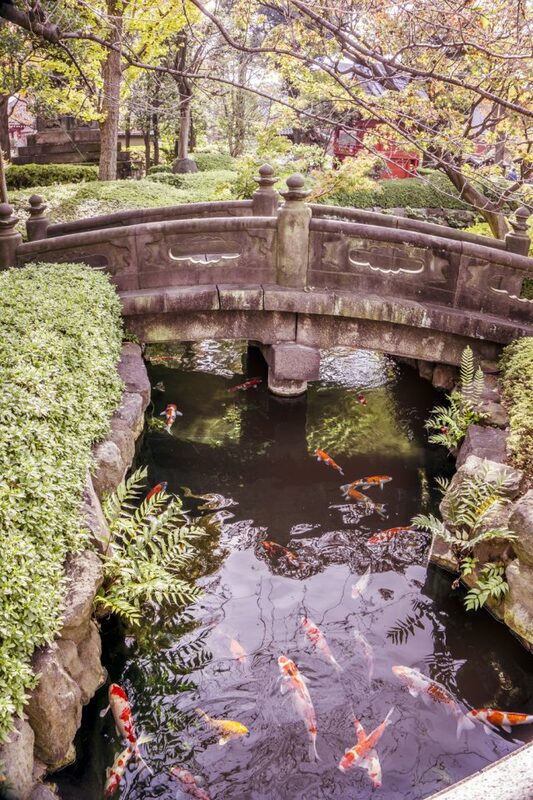 Although the area was bombed and heavily damaged during World War II, it was rebuilt to preserve its tradition, making it one of Tokyo's must-see places. Asakusa is famous for Tokyo Skytree, Sensoji Temple and Nakamise Shopping Street. But there are more things to do, see and eat in Asakusa beyond those three. 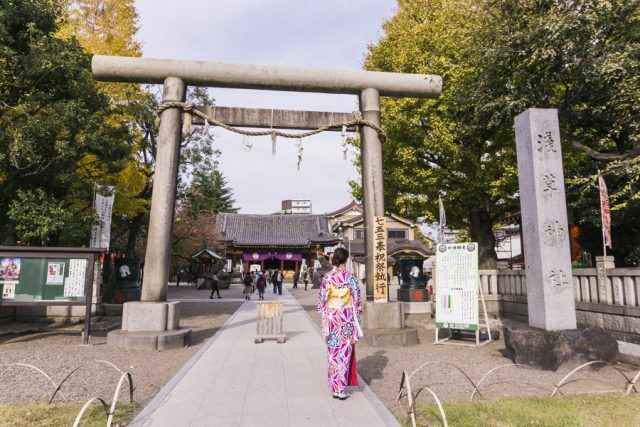 Explore the historic district with this Asakusa Guide! Tokyo Skytree is the world’s tallest tower at 634m high. To be exact, it is the second tallest building in the world; however, because the tallest Burj Khalifa tower in Dubai is technically a skyscraper, Tokyo Skytree keeps the title. With its fame, Skytree is a popular destination for travelers. It houses a broadcasting, gallery, observation deck, cafes & restaurants and souvenir shops. Tokyo Skytree Tembo Deck is on the 350th floor (350m) giving a panoramic view of the city. Going up another 100m above, Tokyo Skytree Tembo Galleria is on the 445th floor (450m). I chose not to go up because I prefer to see the tower from outside, rather than looking out from the tower. The tower is located across the Sumida River from Asakusa, neighboring Asahi Beer Tower. When I came out of the Tokyo Metro Ginza Line Asakusa station exit 4, I could take photos of both towers. For me, it was enough. A regular same-day ticket (¥2,060) gives you access to the Tempo Deck (Single Ticket), and ¥3,090 for Tempo Deck & Tembo Galleria access (Combo Ticket). International travelers are eligible to purchase a skip-the-line Fast Ticket at ¥3,000 for single or ¥4,000 for a combo ticket. ↠ Reservations are not required although visitors can purchase tickets in advance. Because the official website only offers service in Japanese, I recommend buying a discounted Skytree ticket here. Or, book Tokyo Skytree & Asakusa Tour or Tokyo Skytree Ticket & Asakusa Food. What if you don’t want to pay for Tokyo Skytree tickets, or prefer to enjoy the tallest tower view from outside like me? Let me share the little secret spot. Check out the Sky Terrace observation deck on the 8th floor of the Asakusa Culture Tourist Information Center. 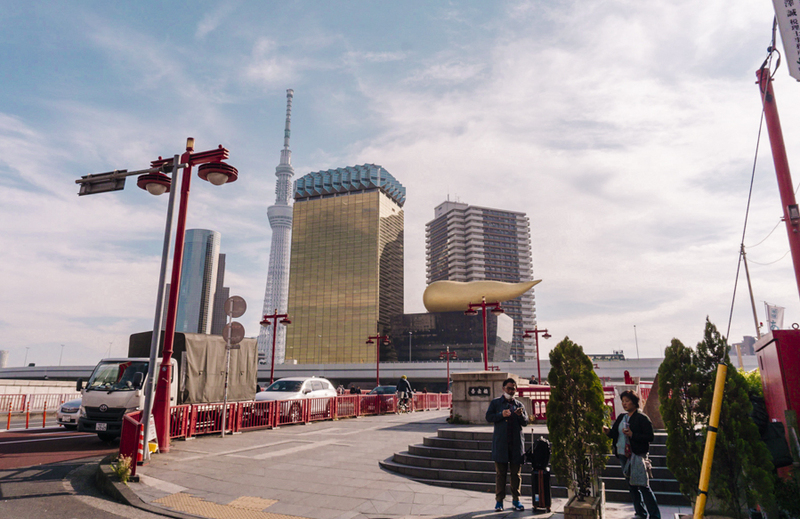 You can enjoy the unobstructed view of the Tokyo Skytree and Asahi Beer Tower “Golden Flame” on one side and a bird's eye view of Nakamise street and Sensoji temple on the other side. The best part? It’s free! Asakusa Culture Tourist Information Center also provides maps, brochures and other useful information for visitors. It also offers foreign currency exchange service. READ MORE | Want to know how to rent a kimono in Tokyo? Click here. Japan is no stranger to cosplay. In Japan, you don’t need to wait for Halloween to dress like Super Mario or French maid. Likewise, wandering the streets of Tokyo in kimono is nothing out of the ordinary even for non-Japanese. But where else is it more fitting to wear a kimono in Tokyo than in the historical district of Asakusa? 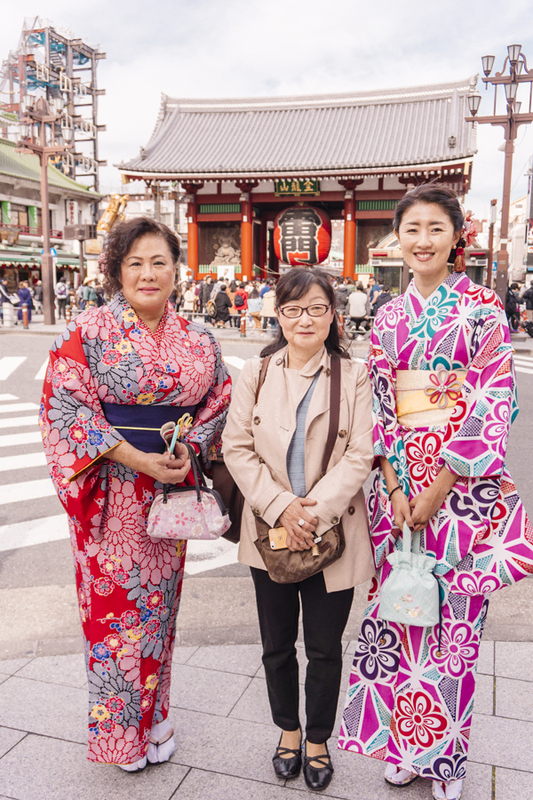 You will see many locals and tourists wearing a kimono in Asakusa and taking photos with the beautiful Kaminarimon and Sensoji as a backdrop. Also, wearing a kimono is a unique cultural experience you will never forget. It is not difficult to find kimono rental shops in Asakusa. But for your better experience and efficiency, researching and booking in advance is highly recommended. A guided walking tour is a great way to explore Asakusa on foot while learning the history, culture and customs of this historic part of Tokyo. Various volunteer groups, organized by the Japan National Tourism Organization (JNTO), offer many Free walking tours in Tokyo. As their operation and availabilities vary, choose the one that works best for your itinerary. I highlighted a few Asakusa tours below, but these groups offer walking tours in other areas of Tokyo as well. The one-hour Asakusa tour is on a non-regular, first-come-first-serve basis. This walking tour can serve as a quick introduction to the area’s background. Then you can explore further on your own. Check the calendar here for availability. Tokyo Systemized Goodwill Guide Club offers a free 90-minute English guided walking tour of Asakusa Sensoji Temple and the surrounding area. It’s a first-come, first-serve basis. Just show up at Asakusa Culture Tourist Information Center to join 10:30 a.m. or 1:15 p.m. tours on Monday, Saturday and Sunday. More information here. Takako-san (in the middle) is a lovely local friend I met through Tokyo Free Guide, a JNTO-recognized volunteer tour guide network. TFG provides a guided tour in Tokyo for a half or full day. It works differently from other free walking tours because it requires an application process and reservation. Once the application is received, TFG matches you with a volunteer who is available for your request and language preference. The guiding service is free; however, any incurred costs during the tour (e.g., admission ticket, meals, transportation, etc.) for the guide will be your responsibility. I met Takako-san through TFG for a one-day Asakusa and Kappabashi Street tours (photo above). I got lucky to be matched with a licensed professional guide. We corresponded via email until the day we met at Asakusa. She not only prepared a perfect customized itinerary based on my interests but also shared an ample amount of historical and cultural insights. (I'm sharing a lot of what I learned from her in this post.) She was extremely patient with all the questions my travel companion had about Japan and the Japanese language, too. It worked more like a private tour, but more than anything, I felt like a local friend was showing me around the town. We had a fun day together. Request your Tokyo Free Guide here. Do you tip the tour guide in Japan? All free walking tours I did in Europe were tip based. I signed up a tour for free, but at the end of the journey, I offered a tip to the guide how much ever I thought the experience was worth. In the end, it was not entirely free. If no tip, how can we show our gratitude? I brought a box of desserts from Taiwan as a friendly gift. Giving an omiyage is indeed a culturally accepted way of gifting in Japan. You don’t have to, and it is not expected to gift these volunteers. But if you want to appreciate their time and friendship, bringing a small cultural gift from your home country would be a nice gesture and a way to promote cultural exchanges between Japan and your country. Read more about tipping etiquettes in Japan here. Free Walking Tour in Tokyo doesn’t work for your schedule? No problem! 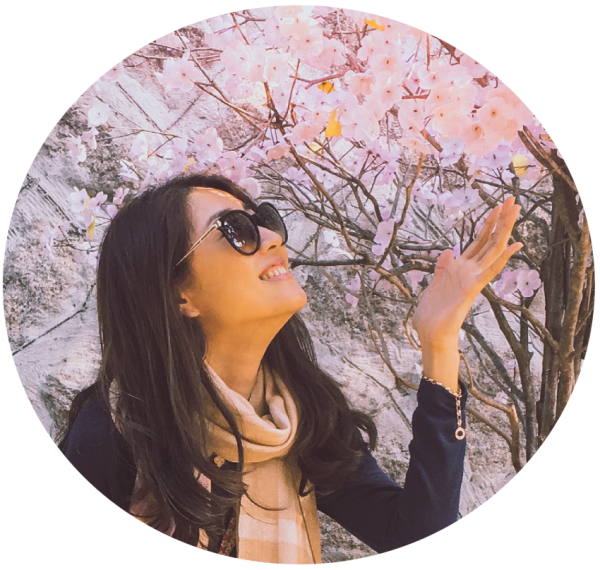 ↠ Book your private tours here: Tokyo Tours by Locals, Tokyo Tour Guide. While a walking tour is perfect for me, you might prefer to go easy on walking. Good news! Asakusa is the ideal place for you to do just that. Hitch your ride with a rickshaw man (or woman) to explore the historic district without a drop of sweat. A man-wheeled ride is available in front of the Kaminarimon Gate and Asakusa Culture Tourist Information Center. You can also book your rickshaw guide here in advance. Kaminarimon Gate (雷門, Thunder Gate) has become the iconic symbol of this historic district. The entrance to the Sensoji Temple is adorned with the large red lantern (“chochin” in Japanese), crafted by Takahashi Lanterns in Kyoto. It is almost 4-meter tall, 3.3-meter wide and weighs 700kg. After the founder of Panasonic, Konosuke Matsushita, cured his disease by praying at Sensoji, he donated the Kaminarimon gate and this lantern as a token of appreciation. Asakusa Kaminarimon is guarded by two statues of the god on each side. Take a closer look at their mouths. My guide Takako-san told me that one is shaped “hmm” and the other shaped “ah.” I forgot which symbolizes what, but one represents birth and the other death. It is the most popular site for all tourists and locals to take photos. So it will be almost impossible to take pictures without others in the frame. Please be courteous and take turns to be on the central spot. Nakamise Street (Nakamise-Dori) is a fun street that connects between Kaminarimon and Sensoji temple ground. Reminiscencing the Edo-era street, Nakemise is a unique place to enjoy Asakusa street food and shop Japanese souvenirs like none other in Tokyo. There are so much to see and eat here that it took us two hours to pass through this 250-meter (820 feet) street! Yōkan: Yokan (羊羹) is a jellied Japanese dessert typically made of red bean, sweet potato or chestnut pastes. Try daily-fresh sweet potato yokan at Funawa (¥170). Senbei rice cracker: The crispy and savory snack is delicious! This small stall "Ichiban-ya" hand-grills rice crackers. Various flavors (¥50, 80 or 100) are offered, including soy, sesame or seaweed flavors. Red bean paste manju: Kameya (亀屋) is a Japanese desserts shop that offers freshly baked sweet red bean paste manju in fun shapes like Asakusa pagoda or turtle. Street Food Etiquette: In Japanese culture, walking and eating at the same time is considered impolite as you inevitably create crumbs and trash. Standing on the corner of the street to finish eating is acceptable. Just try not to block anyone. There is a reason why it is called Nakamise “Shopping” Street. 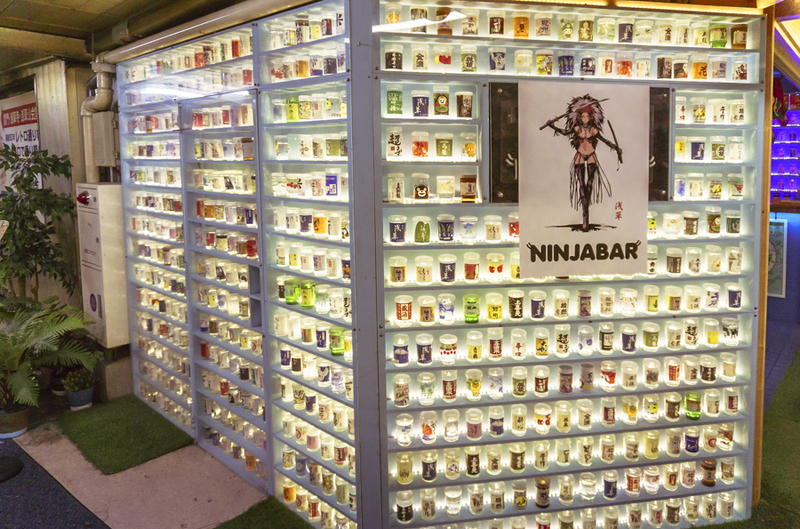 You can find all your traditional and contemporary Japanese souvenirs here. Even if you don’t buy, it is fun to look at all those Kawai (“cute” in Japanese) Japanese items. But it would be challenging to ignore temptation. I bought a t-shirt(¥ 2,000) at Fujiya for family and Matsuri (“festival” in Japanese) t-shirt (¥3,900) for my furbaby at Adachiya pet shop. 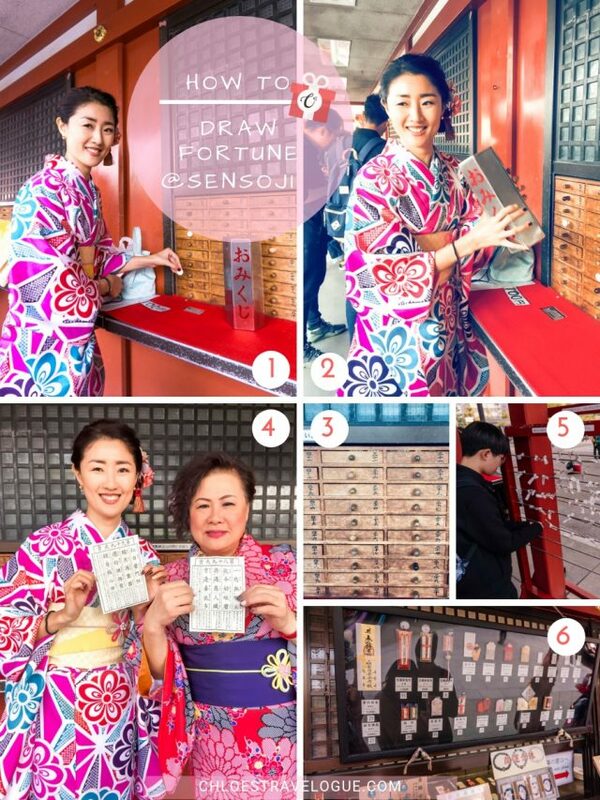 Draw your fortune ("Omikuji" in Japanese) at the entrance to the Sensoji Temple! Insert ¥100 into the donation box. Shake the metal box and flip to withdraw a number on a stick. Open the drawer that matches your number. Read the fortune. If you draw good luck, congratulation! Only 30% of Sensoji's omikuji is anything good. You may bring your fortune home. If you get bad luck, don't bother bringing it back home. Instead, tie your paper on the hangar. Go to the opposite side to buy Omamori (lucky charm, ¥500-¥10,000) to ward off any bad luck or add protection. Omamori is a cute pouch that also serves as a souvenir. Not too bad for a stroke of bad luck, eh? Sensoji Temple is a Buddhist temple that many believe to have healing power. You can buy incense (¥100) and burn at the incense pot. Wave smoke towards your head and face to heal any of your health concerns. Scoop holy water from the fountain onto a small bucket. Rinse the left hand first then the right. Stand the bucket vertically to rinse your hands. Asakusa temple is the only temple allowing photography inside the temple. Feel free to press shutters on your camera! If you want to make a wish, throw a 5 yen coin (go-en, 五円) into the donation box and pray. It is a homophone with the Japanese word for a good relationship (go-en, 御縁), so Japanese use the 5 yen coin to make a wish. Sensoji Temple opening hours: The temple ground is open 24 hours. The Main Hall is open 6 a.m. - 5:30 p.m. (Open at 6:30 a.m. from October to March). Sensoji Temple at night: Sensoji is illuminated from sunset to 11 p.m. every day. After making a wish at the Sensoji Temple, walk over to the left side to enter a little garden area. It’s a cute little area with a Koi pond and waterfall to take photos. Shinto is a traditional Japanese religion, and one of two popular ones with Buddhism. Interestingly, Asakusa hosts its Buddhist temple, Sensoji, and Shinto Shrine side by side on the same ground. Tori gate is a symbol of Shinto shrine. When passing through the tori gate, be sure to walk on either the left or right side to walk with the god as the middle is the God’s path. Two guarding stone dogs will welcome you. Similarly to the protection gods at the Kaminarimon Gate, one says “ah” and the other “um,” symbolizing birth and death. Again, you can throw a 5 yen coin to make a wish at the Shinto shrine. But here the pray style is a bit different from the Buddhist temple. Bow twice, clap your hands twice to make a wish. Hanayashiki is Asakusa’s amusement park from the Edo era. Remember, Asakusa is traditionally an entertainment district? It claims to be the oldest amusement park in Japan, operating since 1853. While I didn’t have any interest in taking a ride in kimono, I wanted to take a glimpse at the area where the Edo period structure is well preserved. Booking.com ↠ Hey, is this your first time in Tokyo? 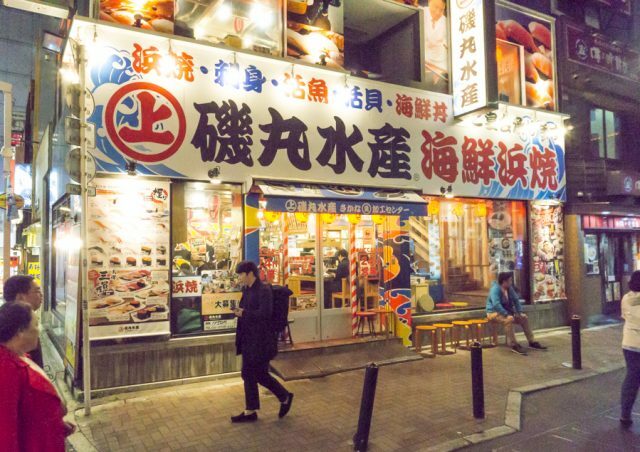 READ THIS FIRST: Tokyo's Best Neighborhood Guide. It covers 9 best areas to stay in Tokyo for tourists, what each neighborhood is best for and things to do. Imahan Honten (今半本店) is a well-established sukiyaki specialty restaurant in Asakusa. It serves Tokyo-style sukiyaki. Sukiyaki is cooked at the table. Remember Bill Murray in the movie, Lost in Translation, complaining what kind of restaurant makes you cook your own food? This restaurant is one. A friendly grandma helped us cook at the table, probably because she knew we didn’t know what we were doing. She didn’t speak any English, but we didn’t have any difficulty ordering. Thanks to the camera function on the Google translator, we had no problem reading Japanese-only menu. Surprisingly, it is not touristy at all in a very touristy area. When I went, the customers were all locals eating and drinking after work. Hours: 11:30 a.m. - 8:30 p.m. Break between 3 p.m. and 4 p.m. during weekdays. Closed on Tuesdays. Isomaru Suisan (磯丸水産) is a Japanese izakaya specialized in seafood. This izakaya is a chain restaurant with multiple locations throughout Tokyo, including Asakusa. 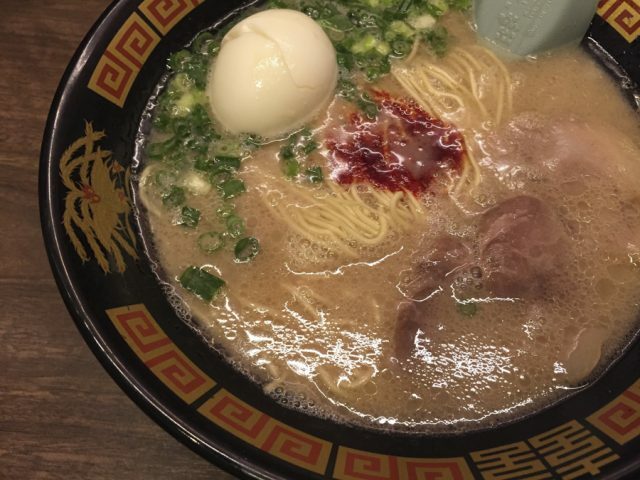 While other restaurants in the Asakusa area start to close around 8 p.m., it is open 24 hours, giving an excellent late dinner option for tourists and locals. Tip: If you prefer to eat meats, there are many other small izakayas near the Tokyo Metro Ginza line Asakusa station Exit 6. Ichiran (一蘭 浅草店) is a famous ramen restaurant in Japan. I have not been to the Asakusa location but have been in another one a few years ago. If my memory serves me well, I remember it was pretty good. Just like any other typical Japanese ramen shop, you order at the vending machine, take a quick bite and peace out. Hours: 8:30 a.m. - 11:30 p.m.
Shibamata Marujin (柴又丸仁 浅草店) is a small takeout Japanese pickle shop with hundreds of pickled vegetables and side dishes. 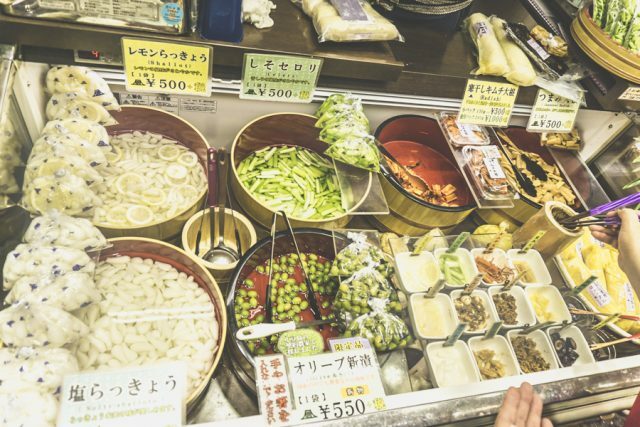 If you are a fan of Japanese breakfast, you will find many dishes you see at the hotel breakfast buffet that accompany with a steamy bowl of rice or congee at this shop, including Japanese pickled daikon (radish) and rakkyo (pickled scallions). For tourists wanting to bring home edible souvenirs, vacuum-sealed packaging is available, as well as an ice pack. Most of these pickles require refrigeration. From my personal experience, I warn you that Japanese pickled daikon is heavy to carry and will stink up your hotel refrigerator even in a vacuum-sealed package. However, both regular and yuzu-flavored ones taste good. My favorite is their rakkyo. It was much lighter and not smelly like daikon, either. This cash-only shop, frequent by Japanese obasans (elderly ladies), serves Anmitsu, Shiruko (or Zenzai), Dorayaki and other beloved local treats. I had and loved Shiruko (汁粉), a sweet red bean porridge served hot with baked mochi on top. Anmitsu (あんみつ) is a Japanese dessert with agar jelly, red bean pastes, fruits and mochi balls. And Dorayaki (どら焼き) is a fluffy pancake with sweet red bean fillings. Do you love matcha? Can your stomach handle the strongest matcha? Then, head to Suzukien in Asakusa! Suzukien is a famous matcha specialty shop that offers seven different levels of matcha ice cream. They also serve other flavors such as hojicha, black sesame and strawberry. Customers can choose single scoop (¥580) or double scoop (¥680) on a cup or cone. I tasted Level 1, 4 and 7 matcha ice creams. Choose level 1 if you love green tea and creamy, sweet notes. Choose 3-5 if you prefer a little stronger matcha flavors. Choose 7 if you like to challenge yourself with the most robust matcha flavor. It’s slightly bitter. But if you prefer dark chocolate over milk chocolate and a fan of matcha, like me, you will love it! When I was walking back to Sensoji Temple from the Hanayashiki Amusement Park, I couldn’t help but notice the delicious smell in the air. Who can resist the smell of freshly baked bread? 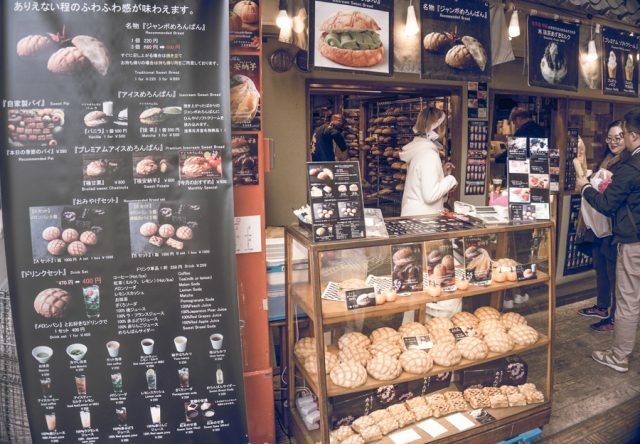 Asakusa Kagetsudo (浅草花月堂) is known for its melon pan (melon bun, ¥220). It’s crispy and sweet. When it is served warm and fresh, it tastes oh so good! If you are familiar with pineapple buns in Hong Kong, you will notice that it is almost identical, except that melon pan doesn’t have a thick slice of butter in the middle. Instead, Kagetsudo offers a variety of vanilla, green tea, sweet potato and chestnut ice cream fillings (¥500-600). This bar right under the Tokyo Metro Ginza Line Asakusa Station near Exit 6 captured my eyes with a cool display of sake glasses. It’s a chill bar with a great selection of sake. Hours: Mon - Fri. 5 p.m. - 11:30 p.m. (Closed on Tuesday), Sat 3 p.m. - 11:30 p.m., Sun 3 p.m. - 9:30 p.m.
Take Keisei Skyliner (¥1,250) to Keisei-Ueno stop. The Skyliner Express is the fastest way to get to central Tokyo and takes about 45 min to Ueno. Transfer to Tokyo Metro Ginza Line at Ueno station to Asakusa (¥170), which is only three stops away. ↠ Reserve your discounted Keisei Skyliner ticket and check the timetable. From Shinjuku JR station, take JR Chuo Line to Kanda (¥170). Transfer to Tokyo Metro Ginza Line to Asakusa station (¥170). It takes about 40 minutes. If you have a JR Pass, you can take JR trains within Tokyo for free. Purchase JR Pass here. If you don’t have a JR Pass, take Tokyo Metro Marunouchi Line at Shinjuku station. Transfer to Ginza Line at Ginza to travel to Asakusa station. The journey takes about 45 minutes (¥240). Take Tokyo Metro Ginza Line at Ueno, travel three stops to get to Asakusa. It takes about 10 minutes (¥170). If you are traveling with a group, taking a taxi might make sense due to the short distance; it takes about 10 minutes (around ¥1,100). ↠ Purchase discounted Tokyo Metro Pass here.